Provi ding directions and talking about the ecology of the area, tracking trail usage and handling clean-ups are just a few ways 17 new Bluff Wilderness Trail stewards are busy making improvements for all visitors along the Bluff Wilderness Hiking Trail. Using $10,000 awarded through the Environmental Stewardship Grants Program provided in spring 2017, The Bluff Trail Stewardship Program (BTSP) expanded the steward group from 14 to the current level of more than three dozen volunteers. 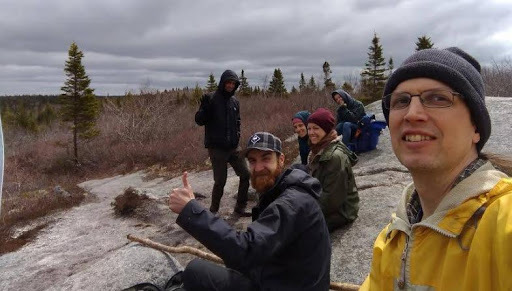 Through hands-on training, hikes and on-site demonstrations the project organizers from the St. Margaret’s Bay Stewardship Association (SMBSA) and the Woodens River Watershed Environmental Organization (WRWEO) worked diligently from April to September 2017 building up this important volunteer group to ensure their effectiveness. The activities under taken from April through September of 2017 are detailed in the Final Grant Report. 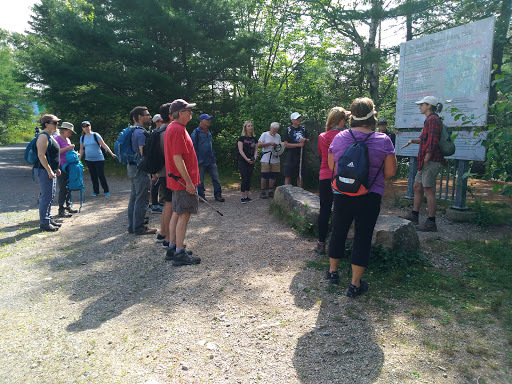 increased our knowledge and understanding of all activities (human and non-human) on and around the trail. The St. Margaret’s Bay Stewardship Association and the Woodens River Watershed Environmental Organization wish to express their sincere appreciation for the support of the Five Bridges Wilderness Heritage Trust through its Environmental Stewardship Grants Program. Without this generous support, the BTSP would not have been able to do this work. 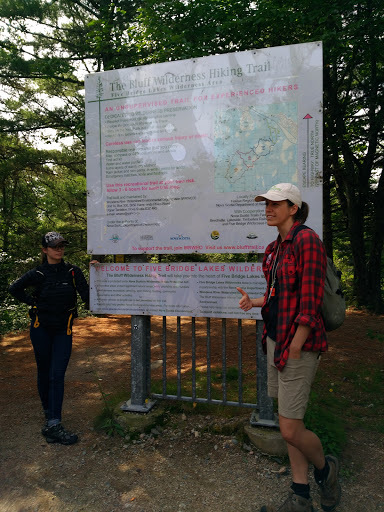 SMBSA and WRWEO would also like to thank Nova Scotia Environment – Protected Areas and Ecosystems Branch, RBC Community and Sustainability Grant, and the many indi vidual donors who have made the BTSP possible.